I am advised by the State Claims Agency that it has a statutory remit under the National Treasury Management Agency (Amendment) Act 2000 to provide risk management advices to Delegated State Authorities. Such risk management advices include the provision of Health & Safety Management System audits, inspections and reviews. From this, State Claims Agency conducted a number of Health & Safety Management System Defence Forces audits within the Air Corps between the years 2006 – 2015. The Reports are authored by the State Claims Agency and are confidential between the Agency and their Client. The State Claims Agency audited the Irish Air Corps for a decade before the Health & Safety Authority were forced to intervene and stop the ongoing CMR & toxic chemical exposure of the Baldonnel workforce. The HSA file was opened in January 2016 and was only closed in September 2018 but the “superb” health and safety performance of the Air Corps for the decade prior to HSA intervention helped the State Claims Agency & NTMA staff earn discretionary performance-related payments. 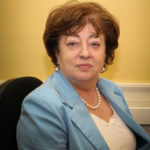 I have been advised by the State Claims Agency that it does not provide reports of Health and Safety Management System Audits conducted by the Agency in Delegated State Authorities (including the Defence Forces) to the Health and Safety Authority. I am advised that these are provided to the Delegated State Authorities only. With regard to the Air Corps, the Deputy will be aware that the Health and Safety Authority (HSA), following a number of inspections in 2016, issued a Report of Inspection to the Air Corps on the 21st October 2016, listing a number of matters requiring attention which included the areas of risk assessment. The Air Corps as a consequence of this HSA report have implemented an improvement plan which is being conducted over eight phases. Seven of the eight phases have now been fully completed. The final phase is a continuous on-going process. The implementation plan focuses on a number of areas, including risk assessment. I wish to assure the Deputy that the health and welfare of the Defence Forces personnel is a high priority for me and the military authorities. 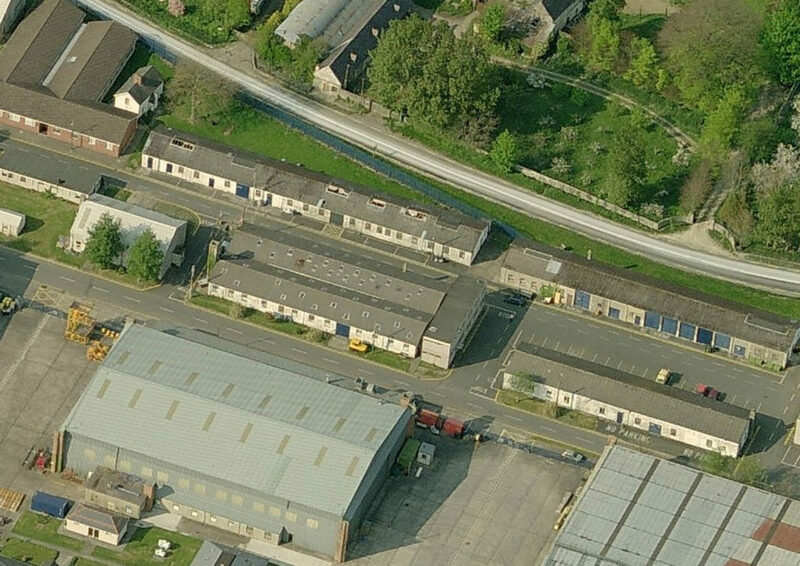 For 10 years BEFORE the Heath & Safety Authority were forced to investigate the Irish Air Corps, due to the ongoing safety risks to personnel, the State Claims Agency had been carrying out Health & Safety Risk Management System audits at Baldonnel. 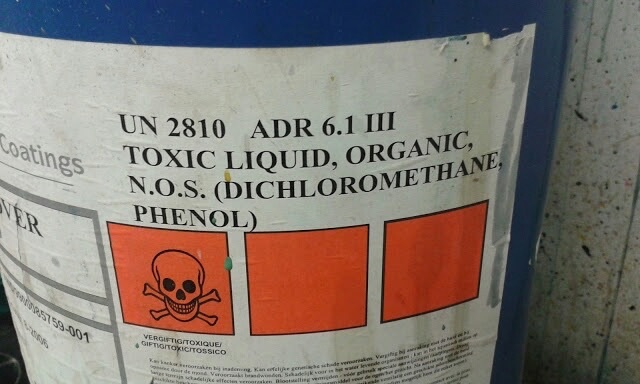 In the eyes of the State Claims Agency the Irish Air Corps risk profile was continuously improving whilst personnel on the ground were still being exposed to toxic & CMR chemicals without appropriate PPE or training causing lifelong injures to themselves and their children. It is now obvious that the State Claims Agency audits were incompetent especially considering it took the Health & Safety Authority 2 years and 9 months to close their investigation file on the Irish Air Corps. The State Claims Agency audits need to be released to the Oireachtas without delay. I am advised by the State Claims Agency that their reports indicate that currently the Agency is managing 21 active compensation claims in respect of the Air Corps where it is alleged that a staff member is the injured party. Given that litigation is on-going, the Deputy will appreciate that it would be inappropriate for me to comment further in relation to these claims. 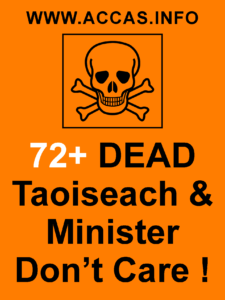 Considering the limited media coverage of this scandal to date, this figure can only be expected to climb as serving & former personnel become aware that their ongoing health issues are likely a result of unprotected toxic chemical exposure whilst serving in the Irish Air Corps. Epichlorohydrin is mainly used in the production of epoxy resins. Acute (short-term) inhalation exposure to epichlorohydrin in the workplace has caused irritation to the eyes, respiratory tract, and skin of workers. At high levels of exposure, nausea, vomiting, cough, labored breathing, inflammation of the lung, pulmonary edema, and renal lesions may be observed in humans. Chronic (long-term) occupational exposure of humans to epichlorohydrin in air is associated with high levels of respiratory tract illness and hematological effects. Damage to the nasal passages, respiratory tract and kidneys have been observed in rodents exposed to epichlorohydrin by inhalation for acute or chronic duration. An increased incidence of tumors of the nasal cavity has been observed in rats exposed by inhalation. 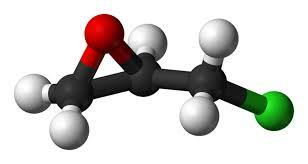 EPA has classified epichlorohydrin as a Group B2, probable human carcinogen. No information was located concerning the measurement of personal exposure to epichlorohydrin. Read the full EPA (USA) PDF on the above Hazardous Air Pollutant with references below. Epichlorohydrin is a component of PR1829b windshield canopy sealant. 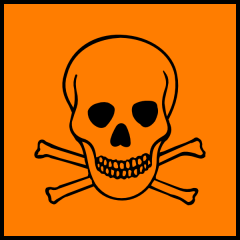 There are possibly more chemicals used by the Air Corps that contain Epichlorohydrin. If you know of some let us know in the comments section.